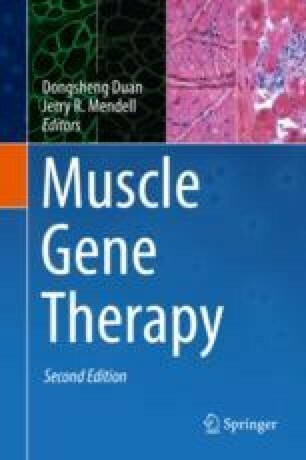 The histological and biochemical evaluation of muscle tissue can be of critical importance for the establishment of safety and efficacy in muscle gene therapy studies. While specific pathological and biochemical endpoints vary greatly with respect to disease, most gene therapy studies encounter common challenges associated with study planning, tissue triage, and tissue preparation. This chapter discusses a number of issues related to study planning for the performance of histological and biochemical studies, highlighting our own experience and lessons learned from other studies. Additionally, we illustrate some current approaches using our own experiences in gene therapy studies of X-linked myotubular myopathy (XLMTM) and Duchenne muscular dystrophy (DMD), both of which are now in the human clinical trial stage. The evaluation of endpoints related to important histological features and the expression of key proteins by immunohistochemistry, western blot, and mass spectrometry are discussed in the context of these studies. We would like to thank Ms. Margaret Beatka for her assistance with the design and construction of figures. This work was supported in part by funding from Solid Biosciences and Audentes Therapeutics.